So this year sees the launch of more flankers from Calvin Klein. 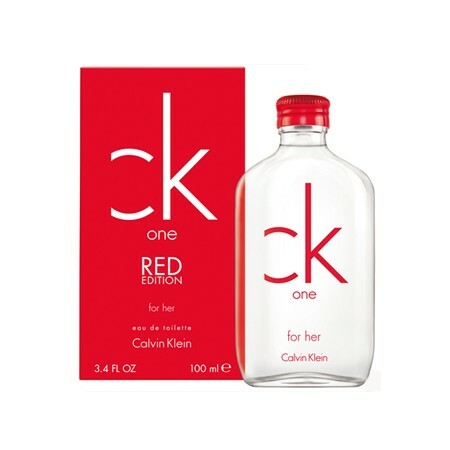 The first is a duo of scents bestowing the CK One name – CK One Red for Her and Red for Him. These rouge editions of the iconic unisex fragrance are “inspired by the atmosphere of a party, which pulsates with super-charged, untameable energy”  which all sounds like good fun but at this present moment in time I’m still unsure where the ‘red’ element comes into it, especially as the fragrances are as devoid of the colour as the marketing spiel. The third new scent is Endless Euphoria, the latest flanker to Calvin Klein’s Cloverfield monster of fragrance – Euphoria (2005). Following Euphoria Blossom (2006) and Forbidden Euphoria (2011), Endless is billed as a fragrance that translates the provocative fantasy of the iconic Euphoria into sheer uplifting sensuality”  and it certainly follows suit as a much lighter (so much lighter), more transparent and pastel coloured version of the original. Lots of things come to one’s mind when thinking of a red perfume – juicy red fruit, roses and fiery cinnamon spice (just to name a few). Three things that certainly do not spring to the front of one’s cranium are watermelon, salt water spas and skin musk. But these are the very things that populate the ‘notes’ of Calvin Klein’s CK One Red for Her. Very interesting choices indeed. So we’ve established that Red for Her isn’t particularly red, so how does it really smell? Well, if I were to sum it up aptly I would call it a ‘weird aquatic’. It opens with a bracing accord of sea salt, melon (more Galia than watermelon FYI) and a strong underpinning of citrus in shades of yellow, green and all that’s in between. It’s all a bit tropical and beachy, possibly suggesting that whatever “ultra-charged” moment the scent is supposed to be evocative of involves cheap cocktails and a trip to Ibiza. The weird part comes from a saline and almost metallic undercurrent that is vaguely (and I do mean ever-so-vaguely) reminiscent of Etat Libre d’Orange’s horrific but wonderful Sécrétions Magnifiques. That said, there isn’t a great deal of interest, or anything for that matter, that follows this metallic beachy booze fest, as Red for Her ends on a pale and wispy bed of salty musk. CK One Red for Her would make a semi-decent summer beach scent and whilst it isn’t particularly unconventional it is surprisingly masculine for a scent marketed as a feminine. It sort-of reminds me of Estée Lauder’s Beyond Paradise for Men, albeit in a less-refined and well-put-together manner. Seek this one out if you’re looking for something to compliment your vodka and Red Bull on the beach. Calvin Klein’s CK One Red for Her is available in 50ml (£25) and 100ml (£37) Eau de Toilette. If I tell you that CK One Red for Him isn’t particular red either, you wouldn’t be surprised would you? I thought not. It’s also worth nothing that Red for Him (and for Her for that matter) isn’t related to the original CK One in any way other than by sharing the iconic scent’s name. If anything, this particular offering from Calvin Klein is more beige than ‘rouge’. Red for Him has top notes of sweet pear and green leaves. Right from the outset it is suitably crisp and soapy with a definite ‘generic mainstream masculine’ vibe, but thankfully in a subtle way. This is no stonker of a perfume and the ‘wet suede’ listed in the notes is nothing more than a whiff of woody leather. And that’s it… Red for Him peters out just as quickly as it started and whereas Red for Her is slightly interesting with its milky, metallic saltiness, for Him makes little to no impression at all. 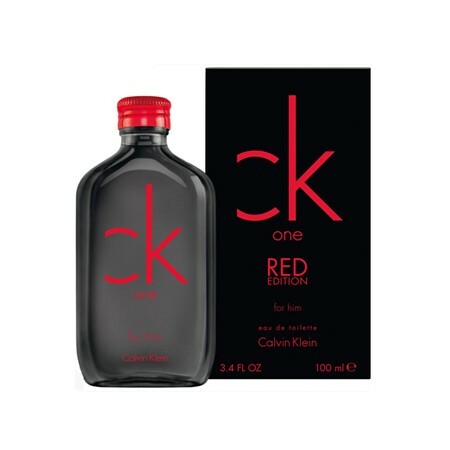 Calvin Klein has proved that they can do a decent masculine flanker to CK One with the enjoyably amber-based Shock for Him, however with this red edition the brand is starting to look like they’re diluting the ‘CK One’ name just that little bit too much. Calvin Klein’s CK One Red for Him is available in 50ml (£25) and 100ml (£37) Eau de Toilette. The original Euphoria (launched in 2005) is a bastion of super-indulgent perfume. Taking more than its fair share of cues from Mugler’s Angel, it pairs ruby red fruits with a massively stinky patchouli note that really is reminiscent of unwashed bodies and a heavy night out in ‘da club’. This combination makes for the Godzilla of all fruitchouli scents – a formidable gargantuan that is strangely attractive, despite the fact that it is mostly terrifying. Trust me, if you see Euphoria skulking down a dark alley – run! 2014’s Endless Euphoria, created by Bruno Jovanovic (the man responsible for Malle’s Dries van Noten), is an entirely different beast altogether. In fact, ‘beast’ is the wrong term for this scent as it really is something much weedier than Euphoria. Billed as a more sheer version of the original, Endless does share a melange of sweet red fruits with its predecessor however, rather than being rich and vibrant they feel somewhat crisper, dewy and as the brief would probably put it – ‘pastel coloured’. These red fruits maintain a decent level of sweetness but they give the impression of something freshly harvested and washed as opposed to the crimson pulped fruits of Euphoria. Endless Euphoria boasts of a floral heart consisting of rose, violet and syringa (lilac), but the reality is that it isn’t particularly flowery at all. There are flowers yes, but they fall into that trap of being ‘indistinctly floral’, meaning that they hum along gently, casting hues of musky white flowers without any one floral really sticking out. The overall impression is more akin to a bottle labelled ‘Generic Floral Accord no 657’ found on the shelves of IFF than anything bound to nature. In the base, Endless Euphoria settles on a sweet and watery musk (this must be the bamboo) of no real consequence. So Endless Euphoria isn’t as bold, brazen or bonkers as Calvin Klein’s original Euphoria but it is pleasant. It’s main problem is that it is indistinct and will easily get lost amongst the rows upon rows of nice enough fruity florals on the shelves of your average department store. I guess it begs the question – do we really need yet another pastel pink feminine of no real consequence? Calvin Klein certainly seems to think so. 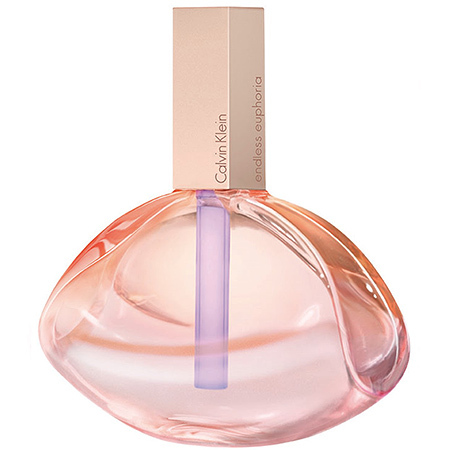 Calvin Klein’s Endless Euphoria is available in 50ml, 75ml and 120ml Eau de Parfum. Image 1 via theperfumeshop.com & becomegorgeous.com. Images 2 and 3 via gordonsdirect.com. Image 4 via ru.hellomagazine.com. ,  &  escentual.com. &  fragrantica.com. Posted in Calvin Klein, Feminine, Flanker, Masculine, Perfume Reviews and tagged Calvin Klein, CK One, CK One Red for Her, CK One Red for Him, Endless Euphoria, Euphoria, Perfume Review. Bookmark the permalink. In all three cases it sounds like they’re desparately trying to wring every last drop of cash out of established perfume names. Although I love that you recommend CK One Red for Her to go with vodka and Red Bull on the beach. You hit the nail on the head so cleverly every time. That pretty much sums it up! These are cash cows essentially.